I have Huawei Health running on the Mate Pro 20. It displays your step count, as measured by the phone. However, I have paired my phone with the new GT watch, which also has a step counter. This means that I have two step counts, which are different. One is measured by the phone, and the other is measured by the watch. I would like the phone to display only steps measured by the watch, so that the widget on the home screen of my phone shows the same count as my watch. I believe it is possible when you sync. 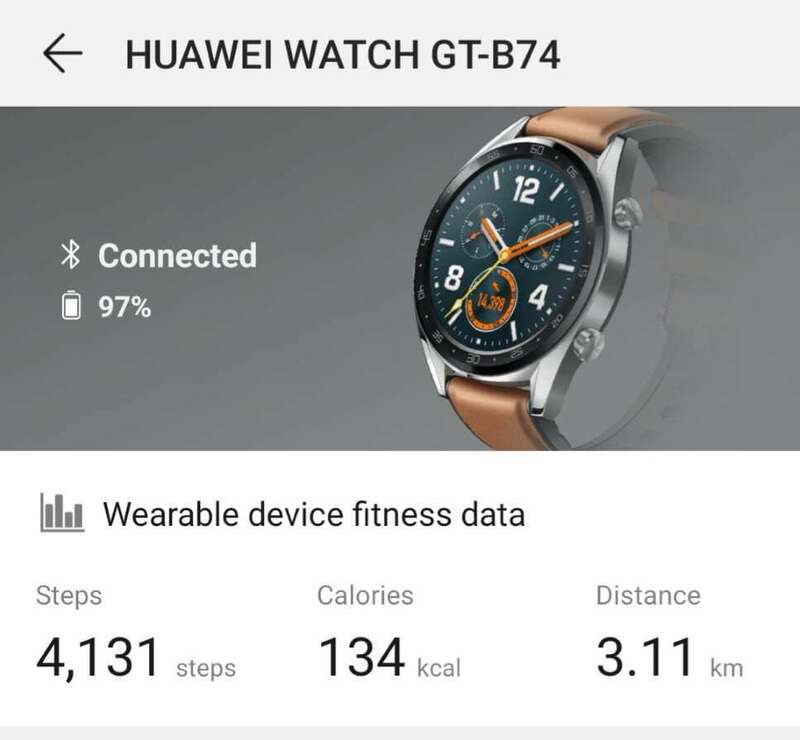 Have you connected to the huawein app and then connected that to google fit? I'm not using Google Fit at all - the phone is connected via Huawei Health, and the widget is from Huawei Health. I don't have Google Fit installed. Both of these screenshots are from Huawei Health. 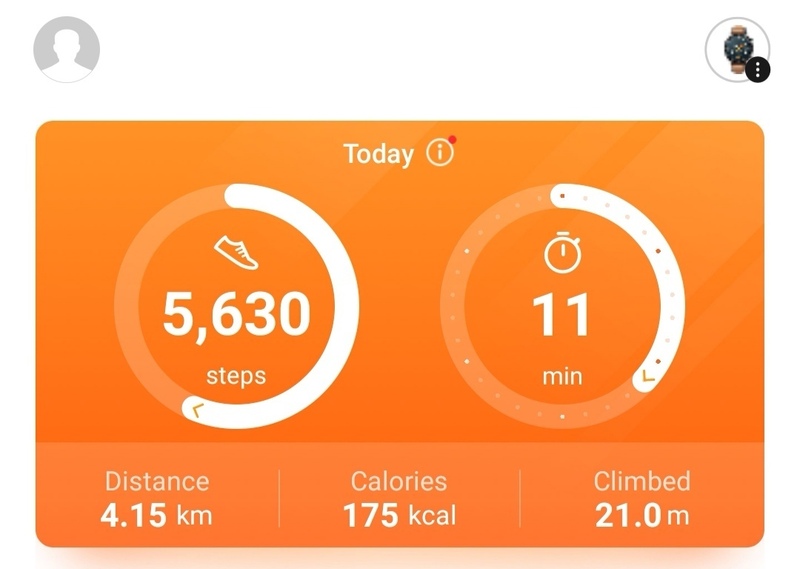 The Huawei Health widget shows 5,630 steps, but I would prefer it to show the figures from the watch, which as you can see below, have been synced to Huawei Health. I hope someone has a solution, I just did 200 steps from the kitchen and back....my house isn't that big! Currently there is no way of choosing one source for counting steps. In Huawei Health, it will always display the count from the source which counts the most steps. It has been raised with developer to incorporate an option to select one source only (i.e phone or wareable, or both). It's just a question of waiting to see if they listen and include this in a future update. I have a similar issue with Huawei Health. It is saying it is getting the additional steps and calories from my Moto G6 Plus, but I do not have any apps on here that are counting steps, so I don't understand where these numbers are coming from. Does the Moto have an inbuilt step counter that isn't documented anywhere? I'm pretty disappointed that these things are being repeatedly reported on the communities and social media and still there haven't been any fixes. I certainly won't be buying another Huawei wareable until they fix Huawei Health app. It's crazy that you can't isolate the wearable as the only source. I had to lend my phone to my wife today while I was at work, for her to take some photos. It means that all of her steps have been added to my total. In any number of situations your phone could falsely register steps that you have nothing to do with. My Samsung S9+ overcounts steps, so I want to disable it but I can't. Thank you for pointing this out. I will forward this to dev. department for them to take into account for future updates. It is possible to assist them in this regards by also adding the S/N of the watch, the App version of the Health app in use, the IMEI of the devices paired and their build numbers. If anyone is willing to assist us further please PM me with the respective information and also a #sports and I will gladly add the information to the respective ticket. In this instance, having the 2 sources counting steps (watch and phone) is a general design issue rather than a bug. Huawei had purposely designed Huawei Health to count steps from two sources as they thought it would be "more accurate". So the issue applies to all phones and all current versions of Huawei Health. I've logged numerous bugs with the support desk, but bugs still there. Look at exercise and you will see one error. Remember also steps are different for each user, which is why u enter height and weight so it can calculate your steps based on an algorithm. Same issue here, am doing 20k steps according to my phone . @Max I'll PM you, of course not trying to put the blame on you or something . Hopefully they solve that soon. I have just had my watch GT and love it but when I sync it's doubling my step count!! It can't be hard for the apps developers to but in an option for the phone not to count steps can it!! Such a pity as I love the watch but the way the app counts 2 sources make the data incorrect, just wondering if you can disable the app and perhaps sync it once a week then disable again until sync day? @Max I'm really surprised that devs aren't prioritizing these issues in updates? I received an update today and was disappointed to see that active minutes sync fix or step count source wasn't included. Absolutely, I just think it's crazy to have 2 sources of data for one app and the fix in app would be easy. Today I've stopped all permissions to the app and the step counter on my phone hasn't gone up. I'll grant permissions tomorrow and sync up to see if it's only taking data from my watch. Hi I have a Huawei band 3 pro-B5A and when I tried to sync it to my phone to record my step data it said my phone does not support step counting has anyone else had this problem and if so how did you solve it. Hi pal, yes it works. I denied all permissions (settings, apps, find Huawei Health, then permissions, deny all, then at the top it says force stop, press that) then force stop the app. I then synced up every day or so, again you have to deny all and force stop after. To be honest, all the glitches have really done my head in, ive gone back to my Fitbit charge 2 and it's app and functionality are just amazing compared to Watch GT ( that is beautiful, great battery life) I think it was you that said the only thing it does properly is, tell time!! That little work around definitely stops the app/phone counting step's though, give it a whirl!! Different band(Honor band 4), Same issue. Renders the app unusable..
Hi guys, I finally found a workaround (I cannot call it a solution) on this issue based on Woodstar post (Thanks Woodstar for this). First of all, I want to make clear that my Android smartphone is routed and I'm uising the Huawei Honor Watch Magic but I have exactly the same problem with the step counting "feature". After 3 days of searching the internet and racking my brain I decided to download "Service Disabler" application from Google Play (for rooted phone only). I have disabled all the background services for "Health" application on my smartphone and then I began to enable the services one by one. After lot of testing and effort I found out that if I disable ONLY the "DeamonService" service the step counter on the smartphone is disabled and I finally get the steps only from my smartwatch! The only disadvantage is that the steps/distance/calories feature from the smartwatch do not sync with the smartphone but at least I have the correct number of steps/distance/calories on my smartwatch during the day. All the other features are working and syncing normally between the smartwatch and the smartphone (heart rate, weather, notifications, alarms). Hey, the step count on your phone's Huawei Health app comes from the step count on your Huawei Health account, which intelligently combines the step count on your phone with the step count on your watch. This results in a higher step count being recorded.